We’re closing in on the end of summer, but luckily this chicken dish is good in any season. 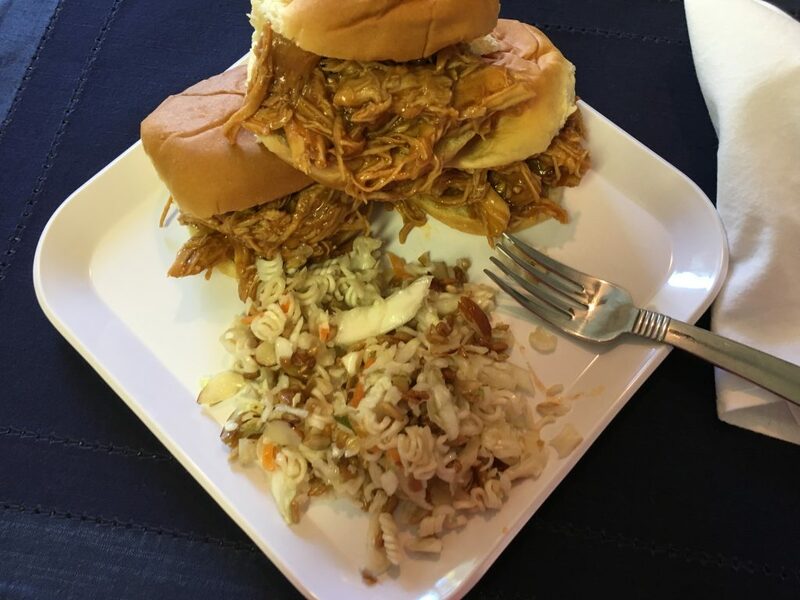 Made in the crock-pot and packed with flavor, I charmed my book club with these sliders and then froze the leftovers. Pair the sliders with cheese, eat the meat without the bun, the options are endless–and tasty to boot. The original recipe is from Allrecipes and for a change, I followed this one to the letter. And served it with the crunch coleslaw. Enjoy!